pixel How Much Time Before We Can Cancel Flight Ticket ? 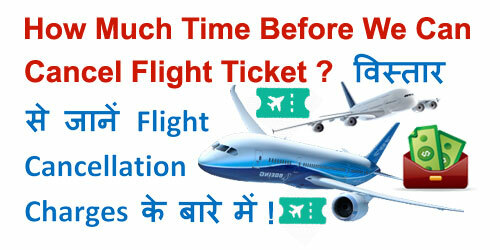 How Much Time Before We Can Cancel Flight Ticket ? इसे भी ज़रूर पढ़ें - आधार कार्ड के बिना नहीं कर पाएँगे ये 14 काम, जानें क्या है वो 14 काम ! Question - Can I Cancel the itinerary and obtain refund ? Answer - Yes. You can now cancel the ticket online and obtain the refund. However, cancellation charges will be applicable accordingly. 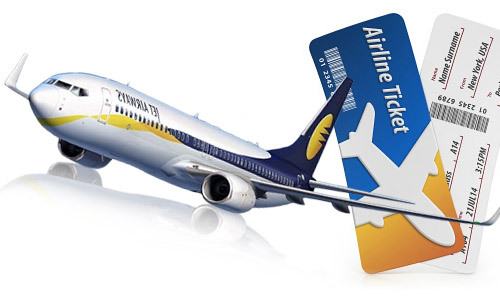 Changes or cancellation to booking must be made at least 2 hrs/4 hrs for domestic/international flight. No Show charges will be levied if the ticket is not cancelled/rescheduled within stipulated time, this means ticket amount will be forfeited and only applicable taxes refunded. 1.) C Cleaner बना हैकर्स के लिए सॉफ्ट टार्गेट, इसके ज़रिए चुराई जा सकती है आपकी जानकारियाँ ! 2.) भारत में लॉन्च हुई गूगल की यह नयी डिजिटल पेमेंट ऐप 'तेज़', जानिए क्या है ख़ास ! 3.) How to Do Fixed Deposit (FD) in SBI Online Through Net Banking ? 4.) How to Do Recurring Deposit (RD) in SBI Online Through Net Banking ? 5.) How To Share/ Post Youtube Videos On Instagram Easily in Hindi ?